I used a base coat of Duri Rejuvacote, 2 coats of polish, and finished with Glisten & Glow top coat. The first coat was nicely opaque but I decided to go with two thin coats for consistency and well, habit. It's good to note that this polish dried matte but since I always use top coat, it shined itself right up. So this is what I'm calling a scattered holographic - that is, the holographic looks like tons of little rainbows all scattered around. 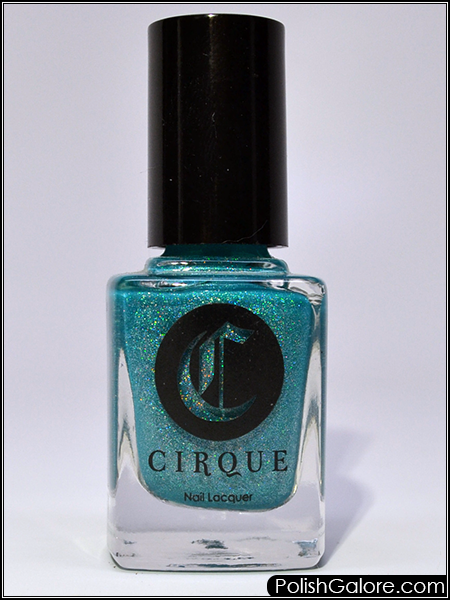 Cirque labels this more ofa green but I felt like it was more blue on my nails. Either way, I was super impressed with how well it's held up the past 3 years. 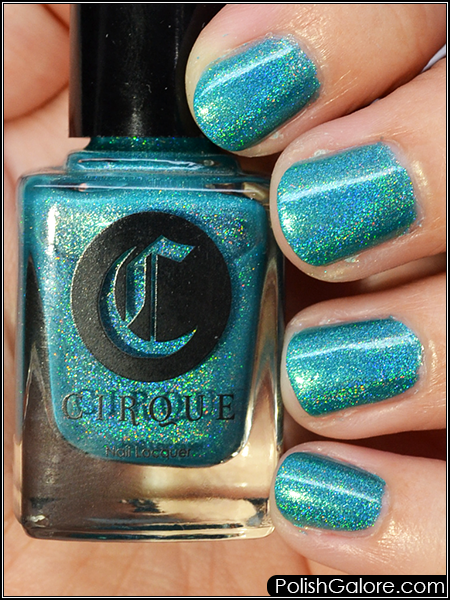 Cirque Colors is available on their website. Join the social conversation on Facebook, Twitter, Instagram and Pinterest.